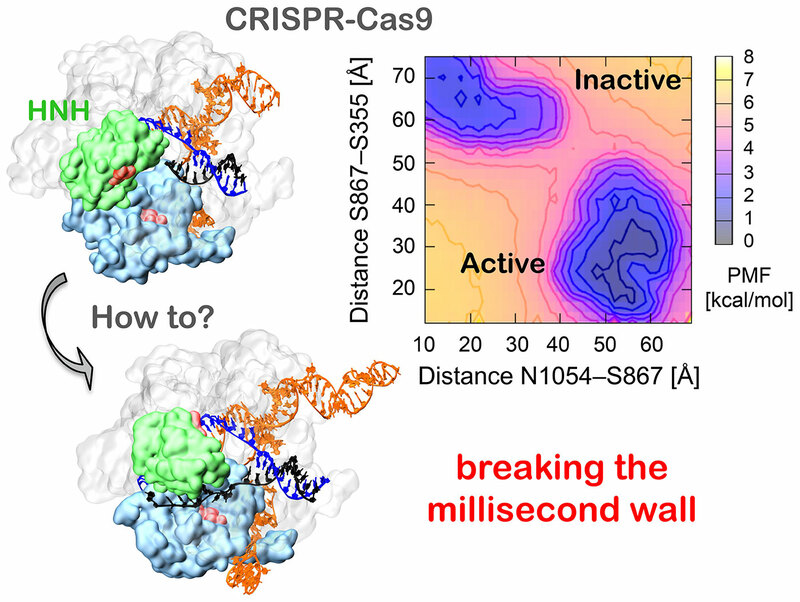 Using a novel molecular dynamics method capable of capturing the motion of gyrating proteins at time intervals up to one thousand times greater than previous efforts, a team led by UC San Diego researchers has identified, for the first time, the myriad structural changes that activate and drive CRISPR-Cas9, the innovative gene-splicing technology that’s transforming the field of genetic engineering. Also participating in the research were Ross Walker, previously with SDSC; and Martin Jinek, University of Zurich. Support for this study came from an advanced post-doctoral grant to Palermo from the Swiss National Science Foundation; grants to the McCammon Lab from the National Institutes of Health, National Science Foundation, Howard Hughes Medical Institute, and National Biomedical Computational Resource among others; research fellowships to Ross Walker from Intel and NVIDIA; and computing time from XSEDE with the grants MCA93S013 and MCB 160059.